When you connect your laptop to a hotspot at a coffee shop or hotel, or you create a wireless network in your home, you’re using a WiFi wireless network. So, just what is WiFi? The term stands for Wireless Fidelity and means that a device is compatible with the 802.11 standard, the established standard for wireless networks. This gives you peace of mind that your WiFi device will work on any WiFi network. Wi-Fi networks and Wi-Fi devices transmit a frequencies of 2.4 GHz or 5 GHz. These frequencies are considerably higher than the frequencies used for cellular phones and walkie-talkies and the higher frequency allows the signal to carry more data. 802.11 technology dates back to 1985, although the term Wi-Fi wasn’t used commercially until 2000. It was also in this year that WI-FI CERTIFIED testing began on 802.11b products (delivering 11 Mbps of raw data). Of course, a lot has changed since the early days. Networks today support much faster speeds, bigger ranges, and more devices can connect to them. What is the Wi-Fi Alliance? The Wi-Fi Alliance is a global non-profit organization that’s made up of hundreds of leading companies dedicated to interoperability. The Alliance runs the WI-FI CERTIFIED program – which ensures that Wi-Fi devices and products meet certain interoperability and quality standards. What’s the WiFi Alphabet Soup? 802.11a transmits at 5 GHz and can reach wireless speeds up to 54 Mbps. The 5 GHz band is less crowded than the popular 2.4 GHz; that means there’s less interference – which translates into better performance for activities like voice and HD video. The radio required for 802.11a wireless equipment is more expensive; for this reason, it’s not supported on most consumer devices for the home. 802.11b is the slowest and least expensive Wi-Fi standard. It transmits in the 2.4 GHz frequency band and can handle speeds up to 11 Mbps. For awhile, 802.11b’s low cost made it the popular choice for home networks, but it has since been replaced with 802.11g and 802.11n technologies. 802.11g also transmits in the 2.4 GHz band like 802.11b, but at much faster speeds. 802.11g is capable of speeds up to 54 Mbps (although real-world speeds typically register around 24 Mbps). 802.11n is how the predominant Wi-Fi standard on the market today. It significantly increases the speed and range compared with 802.11g and 802.11b. 802.11n can theoretically achieve speeds as high as 140 Mbps. 802.11ac is basically an updated version of 802.11n. Its theoretical maximum speed is just shy of 7 Gbps! However, real life max speeds are closer to 1.3, which is still twice as fast as a Wi-Fi network today. 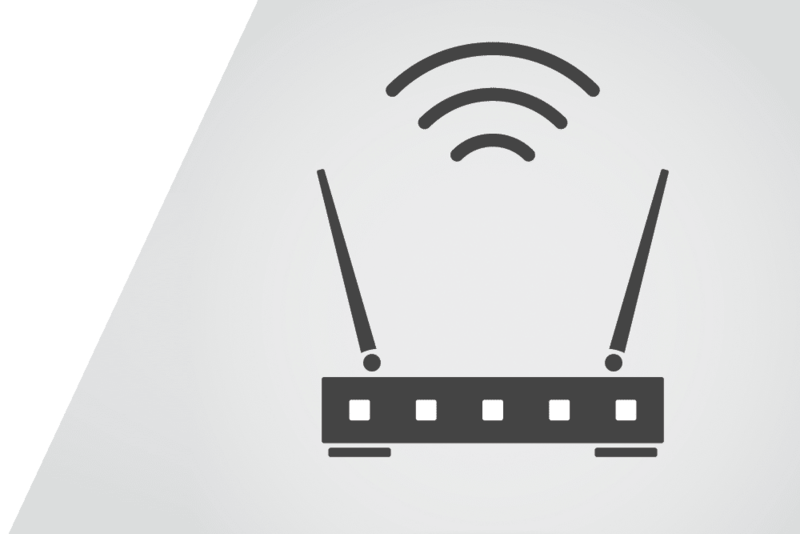 The first 802.11ac routers appeared in January 2012, and the standard is still emerging. Maybe you’re beginning to see more and more consumer devices that support Wi-Fi Direct. This technology allows devices to connect to one another directly without having to join a wireless network. Think of Wi-Fi Direct like Bluetooth technology, except it offers faster speeds and greater distances. Wi-Fi Direct devices can still connect to your standard home Wi-Fi network; they just also can support these new device-to-device connections.